Progress is coming along in a new way restoring damaged brain neurons after stroke by transplanting new healthy neurons into the brain. 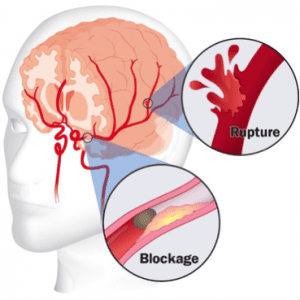 “Today, a stroke usually leads to permanent disability — but in the future, the stroke-injured brain could be reparable by replacing dead cells with new, healthy neurons, using transplantation. Researchers at Lund University in Sweden have taken a step in that direction by showing that some neurons transplanted into the brains of stroke-injured rats were incorporated and responded correctly when the rat’s muzzle and paws were touched. The study, published in the journal Brain, used human skin cells. These cells were re-programmed to the stem cell stage and then matured into the type of neurons normally found in the cerebral cortex. A couple of years ago, the research team at the Stem Cell Centre in Lund had already proven that transplanting this type of cells to the cerebral cortex enabled stroke-injured rats to move better. At the time, however, it was unclear whether the host brain really formed functioning connections with the transplanted nerve cells. Now the new study has proven that this is indeed the case. The research team used several advanced methods in the study — electron microscopy, virus-based tracing techniques, registration of activity in the transplanted cells and optogenetics. The results show that various parts of the host brain form normal, functioning connections with the transplanted neurons and that the latter change their activity when the animal’s muzzle and paws are touched.